Taking the Women’s Suffrage movement as a point of departure, Camden VOX has commissioned four women artists to produce a series of posters that explore ideas of Equality, Place, Power and Identity. For June and July Camden Vox Presents Claudette Johnson. Taking the Women’s Suffrage movement as a point of departure, Camden VOX has commissioned four women artists to produce a series of posters that explore ideas of Equality, Place, Power and Identity. Featuring works by Sutapa Biswas, Claudette Johnson, Ingrid Pollard and Hannah Collins and exhibited in the atrium at Swiss Cottage Library from June 2018 to January 2019. Johnson’s work is inscribed with bold attempts to both counter widespread negative portrayals of black women and men and to combat what effectively amounts to their lack of visibility in assorted arenas. Correspondingly, Johnson’s work seeks to create a range of depictions of the black body that is free from, or resists, objectification. Claudette Johnson lives and works in London. She was a member of the BLK Art Group as well as co-founder of the BLKArts Research Group with Marlene Smith and Keith Piper. Her work is included in the collections of Mappin Art Gallery, Arts Council England Collection, Manchester Art Gallery, Wolverhampton Art Gallery, The British Council and Rugby Art Gallery. 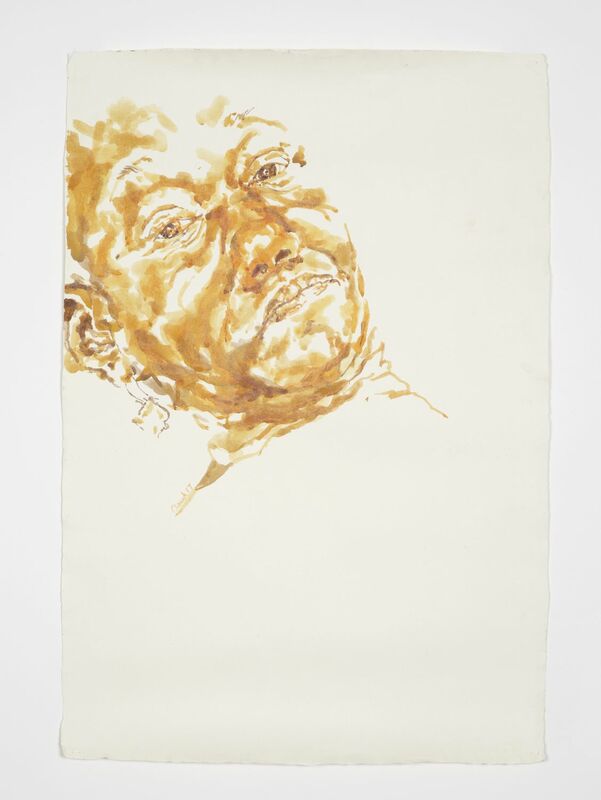 In the 1980s Johnson showed her work in a number of seminal shows including Five Black Women, Africa Centre, London, 1983, Black Women Time Now, Battersea Arts Centre London,1984, The Thin Black Line, Institute of Contemporary Arts, London,1985, In This Skin: Drawings by Claudette Johnson, Black Art Gallery, London, 1992. And more recently she has participated in exhibitions such as, Transforming the Crown: African, Asian and Caribbean Artists in Britain 1966 – 1986, Royal Festival Hall, London,1990, The Caribbean Cultural Centre, The Studio Museum Harlem and The Bronx Museum of Arts, New York,1997/98, Thin Black Line(s), Tate Britain, London, 2011/2012, No Colour Bar: Black British Art in Action 1960–1990, Guildhall Art Gallery, London, 2015. The 1980s Today’s Beginnings?, vanabbemuseum, 2016, The Place is Here, Nottingham Contemporary and South London Gallery, 2017, Claudette Johnson, Hollybush Gardens, 2017, and Meticulous Observations, Walker Art Gallery, Liverpool, 2017/2018 curated by Lubaina Himid. Claudette Johnson first heard of Olive Morris (1952 - 1979) on a visit to the Abasindi Co-Op during a residency at Manchester Art Gallery in 1986. When walking into the centre, Johnson was told "You look like Olive." Morris was a vibrant and fearless activist on all kinds of fronts: for women, for black people, for the poor and for the dispossessed. The experience of attending the OWAAD (Organisation of Women of Asian and African Descent) conference, which Morris co-founded, had a profound effect on Johnson’s thinking as a first year Fine Art student in Manchester. Johnson describes Morris as an inspirational figure who illustrated what courage, intelligence and compassion can achieve in even a short period of time. Claudia Jones (1915 -1964) was a Trinidadian civil rights activist, journalist, communist and founder of the first Black newspaper in Britain: The West Indian Gazette. For Johnson’s parents and many others newly arrived from the Caribbean, this paper was an important link to home. Johnson remembers feeling proud that this newspaper and others, such as the Gleaner, focused primarily on black and Asian people. It was a place where Johnson could see oneself reflected as a protagonist rather than an extra. Johnson describes that at a time when black people were almost invisible in the main stream media, it was a reminder that they have a past, present and future. Have a look at our past poster commissions here! Taking inspiration from the Women’s Suffrage movement and the centenary of the Representation of the People act, Camden VOX will celebrate and explore themes of equality, place, history and power. Camden’s annual arts programme will offer free and low cost arts and cultural events for those who live, work in and visit the Borough.Through celebrating Camden’s unique spirit which is rebellious, creative and progressive, and working with partners and key cultural institutions in the borough, Camden VOX offers a thought provoking and engaging arts and cultural programme for 2018, featuring theatre, pop-up performance, song, spoken word, exhibitions, commissions and artist led, drop in family friendly workshops across the borough. For more information on Camden VOX please visit our programme page!